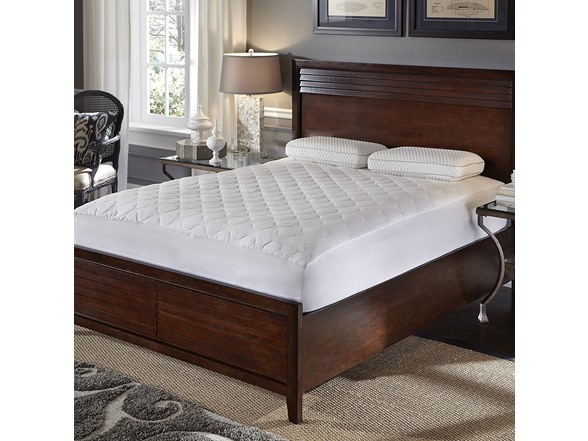 This quiet waterproof mattress pad adds a protective layer to your mattress with a 205-thread count cotton top, a cozy polyester fill in the middle and a waterproof layer of protection underneath. 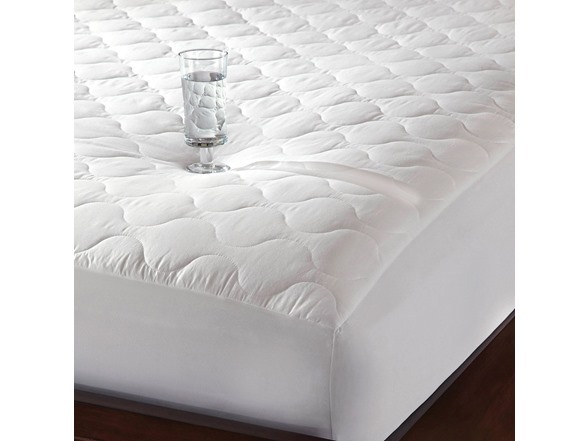 The quiet waterproof barrier protects your valuable mattress from spills and accidents, while its unique and quiet construction keeps this added benefit silent without sacrificing comfort. The stretchy skirt fits mattresses up to 18" deep. Machine wash for easy care. 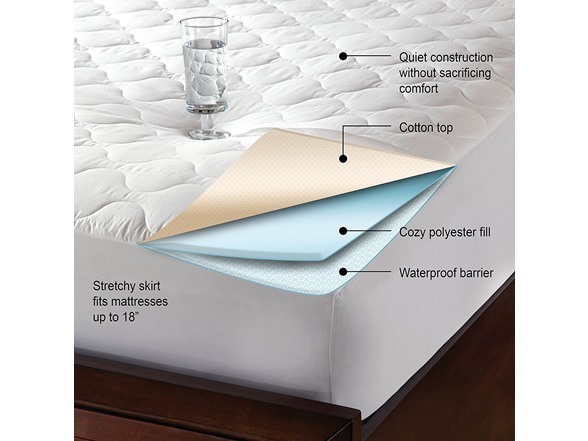 The stretchy skirt fits mattresses up to 18" deep.